I get emails from people who ask me how to read particular Cards together. This is a very difficult question to answer. I could supply on average, probably twenty ways of Reading any, let’s say, two Cards together, but which is the right one? Which is applicable. Maybe they all are, but you can only pick one or two. I hate to say this, but there is no set formula for reading two, three or four Cards together as there are so many variables involved. There are hundreds of Tarot Courses to choose from, and each will promise to teach you how to Read the Tarot, but the simple truth of the matter is that even the most expensive courses can only teach you a certain amount. The rest unfortunately is up to you. However, there are certain steps you can take which should help you get started. I covered these steps in Part I of this Course Lesson 5 when I gave suggestions of things to look out for, be aware of, and take into consideration when trying to interpret a Reading whether it is just two Cards or ten. How are your Feelings or Emotions immediately affected by the picture? What Words, Thoughts, Impressions come to mind as soon as you look at the picture? Does the Imagery Remind you of Anyone or Anything? What Number Card is it and what Energy does the Number carry? What Colours are presenting and which is the Dominant Colour? What does this tell you? What is going on in the Card? Are there People there, Animals, Buildings etc.? If there are People, Animals or Buildings, do any of them look Similar throughout the other Cards? If they look Similar, in what way? Do they Improve or Dis-improve from Card to Card? What Element Governs the Card? What Energy does the Element bring with it? Are there Clusters of a Certain Element/Suit throughout the Cards? What might the effect of their Concentrated Energy be? 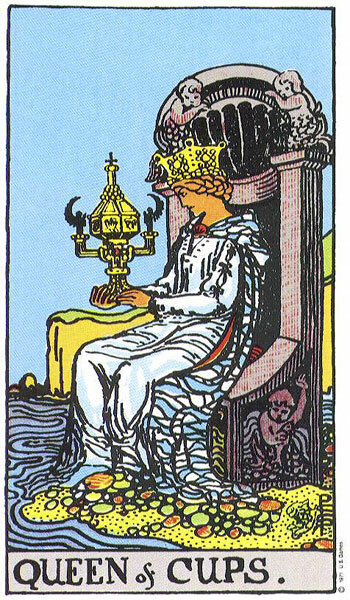 What is the Symbolism in the Card telling you? Do you See the same Symbol or Similar ones in other Cards? What are the People Wearing? Do they appear wealthy, poor, comfortable, uncomfortable, happy, sad, angry, stressed, young, old, depressed? Do they Wear Similar Clothes in other Cards? Do their Clothes Improve or Dis-improve from Card to Card? What is their Body Language telling you? Do they stand tall and proud or stooped and strained? Do they looking domineering or submissive, assertive or grovelling? Is there Similar Body Language in other Cards? Do They People in the Cards look Friendly or Unfriendly towards each other? Is there a Particular Character who Stands out as being in Charge or in Control in the Cards? Are they Behaving Admirably and Honourably, or Underhanded and Sneaky? What is the Weather like? Does it Change throughout the Cards? What Element/s are present? (Are they Helping or Harming)? What Element/s are missing (they might be badly needed)? What Archetypal situation is depicted in the imagery? Are there any Reversed Cards (Are they Helping or Harming)? What significant Symbols are present? Is there a Colour trend (are they all dark or bright and colourful)? In general or they Light and happy cards or Dark and stressful? Are there any Cards that Carry very Similar Colouring? Are there any Astrological Associations among the Cards? Are there Cards that carry a similar Theme or Message? Are there Cards that Contradict each other? Which Cards would you Group together as being Relevant? Which Card/s has drawn your Attention the most? Which Card/s do you seem to be Ignoring or Disinterested in? Which Card do you Feel is the most Important or Key? It really comes down to knowing your Cards from several aspects, along with understanding the individual type of Reader you are. Tarot is not an exact science and is constantly subject to interpretation. There is no precise 2+2= 4 way of going about things. Numbers do help but they are only a part of it. The best way to approach connecting and linking Cards is to learn how to join the dots from the lists above, which will then lead you in a certain direction and provides a certain theme. Unfortunately the dots are never the same each time. Each Card has several Dots to select from, and in a Spread, you will end up with a myriad of dots. Examined close-up, it may seem impossible to decide which ones to join, where to begin, which direction to take them, and where the trail naturally ends. The harder you focus your conscious mind on these dots, the more blurred they become. The trick is to stand back from the confusion and allow the natural trail to develop through the subconscious. I cannot do this for you. This ability will naturally evolve the more you work with the Cards. When you do begin to see the dots (metaphorically speaking that is), certain dots will begin to stand out and you will see a pattern begin to emerge. It may be very different to the pattern you saw the last time you Read these two or three Cards together. Tarot Cards have shape-shifting abilities. What you see one day, you may not see the next. However, you will store the memory of all the times you have found patterns in them, and these get filed in your Tarot Reading Memory Bank, to be called on at any time in the future. You can retrieve bits and pieces from this Memory Bank to suit any individual Reading’s requirements and needs. However, most of the files stored in your Personal Tarot Memory Bank will be of your own making, the rest will be learned from another, as in courses and books. The dots that I refer to in the individual Cards, which can be sourced from the list above, need to be joined, and therein lies part of your interpretation. This is the part that is mainly acquired through Learning Tarot. When you are first exposed to all those accumulated dots, it is quite like looking up at the star-filled night sky. When we first tilt our heads back and gaze up, all we see are wild clusters of stars, but once we allow our vision to slightly go out of focus, we soon begin to see patterns forming out of all the chaos. Suddenly, we see the Plough, Orion, Leo or Virgo and we can navigate from there. You may prefer to think of the dots as breadcrumbs instead. If you follow their trail, regardless of how much it twists and winds, it will lead you to where you want to go. Rarely do these dots or breadcrumbs follow a straight line. If they did, you more than likely would not be doing a Reading, for the issue and solution would be quite simple and straightforward. You must be prepared to follow the trail with all its twists and bends, at times not even knowing where it will lead you. Sometimes you need to run with for a while before it begins to make sense. You may feel as if you are entering uncharted territory. You may even have to back track a little when you discover that you have taken a wrong turn, missed certain flags, are unsure how to proceed, or when you let your conscious mind overly interfere. Some of these trails form a simple pattern, where each Card in the Spread naturally or logically leads you to the next, but many times the patterns will be complex, and you will need to rely on your inner vision to guide you through. Your thought processes must remain flexible. Rigidity when Reading will make it difficult. You need to know when to go by the book and when to allow Free Association work its merry magic. Going by the book is the part of Tarot that you learned from books or courses. It is the part where other people can help you out with. Free-Association is the understanding of Tarot that comes from within, and is really out of other’s control. When teaching Tarot in a class format, Free-Association is naturally introduced to encourage students to find their own understanding of the Cards. When the class is asked to share their thoughts about a new Card that is being studied, the variety of suggestions can be incredible. Free-Association usually takes place before the student is given much information about the Card, thus preventing tainted views due to previously taught knowledge. The students study the imagery on the Cards and time is given to allow everyone express their feelings and ideas about what it might mean, and how the scene depicted affects them. Some students come up with quite unusual and creative views, often teaching the teacher a new and wonderful way of looking at the Cards. I have learned a lot from my students over the years through Free-Association. It is amazing what reveals itself to you when you become familiar with Free Association. Free Association allows the Subconscious out to play. The magic begins when you combine Free-Association with the Learned Knowledge. Not only is the Subconscious mind essential when making connections in a Spread, the Conscious, intelligent and logic mind, plays a vital role. You need to be observant, alert and engaged with what is going on. Just like when you watch a movie with an intriguing plot; the director, actors and screen writers give you just what you need in order to follow what is going on, but they won’t give you everything. You must apply yourself to watching the movie, follow the story line, listen to what the characters are saying, be aware of body language and pick up on the subtleties and clues that are deliberately placed for the observant to hone in on. You must work it out in your own head and fit the pieces of the story together to arrive at a reasonable conclusion. See what fits and doesn’t fit, what is possible and what is impossible, who is to be trusted, feared or is possibly irrelevant to the plot. You must also fill in the deliberate blanks that are left where twists can develop. Maybe there are things left hidden that you must use your intuitive skills to expose. This is all part of the fun, and why you go to the movie or watch the thrilling weekly series for. We want to test our minds and not just sit in front of some banal and trite clueless production. Movies and tv dramas usually give a brief over-view to give you the outline of the story so that you can decide if it is something you would like to watch or not. They are usually teasers to draw you in and keep you coming back each week. What if they were to tell you the whole story, plots, twists and ending before the movie or tv drama even started? What would the point in that be? Your mind would become dull and reliant on others. The writers and producers will only tell you a certain amount and after that the viewers must come to their own conclusions. 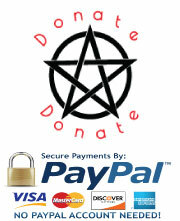 Any Tarot Teacher or Tarot Course can only ever give you a certain amount too. They will give you all they can to the best of their ability, but they cannot cover every single eventuality. For the Tarot Student, most learning unfortunately comes from within, regardless of how many courses or books you have. Universities all over the world work hard to impart their knowledge to the willing and serious student but they cannot guarantee that every student will understand the subjects or specialities the same way they do. It is the student in possession of the knowledge that must make it his or her own. I have attended many Tarot Courses over the years, and read umpteen books on the subject of Tarot, but in all that time I was never shown an exact way of making connections between cards, other the very obvious ones of suit, number etc. similar to the bulleted lists provided above. Once those connections were made, I then had to apply my knowledge of the individual Cards, along with a dose of intuition, gut feeling and common sense. It wasn’t easy, and many fellow Tarot students fell by the wayside during this process, disillusioned once they discovered they were not working with an exact science. The Tarot Cards have a tendency to tell their story or message through metaphors. 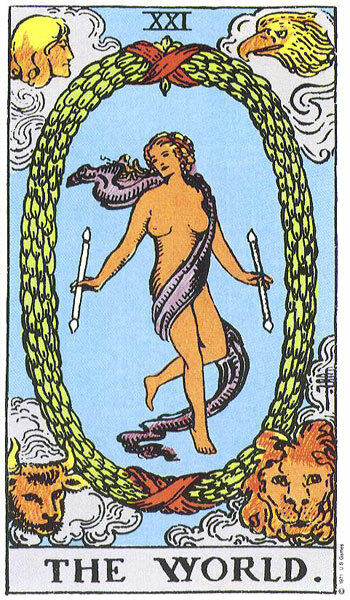 Connections and links can be found in the Cards when you find similar or complementary metaphors occurring. Metaphors will make the links simpler to find. Anyone who reads my work will know that I use metaphors a lot when writing about Tarot, and for describing the individual Cards. Metaphors play a very important role when learning to understand the stories encapsulated in each Card. When Reading, it is often by the use of metaphors that the Querant finally hears and understands the messages you are trying to relate. This is because it is simple and makes sense. Metaphors appeal to most people. Metaphors can be more powerful than actuals. They provide imaginative food for thought and can break down complex intricate scenarios into more simplistic versions, which all can understand and relate to. Metaphors make learning easier. A metaphor is a figure of speech that identifies one thing as being the same as some unrelated other thing, thus strongly implying the similarities between the two. It is therefore considered more rhetorically powerful than a simile. While a simile compares two items, a metaphor directly equates them, and so does not apply any words of comparison, such as “like” or “as.” Metaphor is a type of analogy and is closely related to other rhetorical figures of speech that achieve their effects via association, comparison or resemblance including allegory, hyperbole, and simile. This quotation contains a metaphor because the world is not literally a stage. By figuratively asserting that the world is a stage, Shakespeare uses the points of comparison between the world and a stage to convey an understanding about the mechanics of the world and the lives of the people within it. I have provided an Example of how I employed the services of Free Association, along with the joining of dots, my Learned Knowledge and Logic, to draw Connections and links between two randomly drawn Cards which had no question or intention attached to them. I simply drew the Two Cards and placed them on the table in front of me. I automatically scanned the Cards bearing in mind the two lists of suggestions provided above. In reality this takes a very short time the more you practice. It is what most people do when observing anyone or anything. They take it all in within seconds, their mind analysing rapidly as they absorb the visuals. Once I had drawn up certain conclusions I then allowed my mind to dwell on the meanings attached to each Card. After that Free-Association did the rest. The result was an interpretation of Two Cards from which a story emerged. The story belongs to no one in particular but I have now filed this combination and interpretation in my Personal Tarot Memory Bank. I am sure some day in the future, when these two Cards appear once more, I will access this file as it will bear some relevance to the Querant I am Reading for. Where Tarot is concerned, the Learning never ends. Thanks for the comments. Go for dramas, psychological thrillers but also go for historical or period dramas where you will find such superb archetypes. I find box sets that take maybe three series to unravel the plot really get the mind working and force you to thoroughly analyse all the personalities throughout. Movies do not necessarily give much time to analyse. With regards to romantic areas, again go for the period ones such as Pride and Prejudice where you will find the same formula still being used today. Make sure you read books, good long books where stories develop. Historical novels are great as well as thrillers. Anything that forces the mind to wake up and stay alert is where you want to be looking. A wonderful movie which gives much time for thought is Out of Africa with Meryl Streep and Robert Redford. Salmon Fishing in the Yemen is wonderful too and also Eat, Pray, Love. Downton Abbey – Box Set – Archetypes galore. BoardWalk Empire – Box Set – Need to keep up with what is going on, who to trust etc. Great for Archetypes again. American Horror Story – Box Set – Psychic Thriller. Who and where is the real evil. The Secret Scripture – A dying old woman in an Irish Mental hospital writes her memoirs which contain damning revelations about society and religion in Ireland and why she has been locked up for decades. 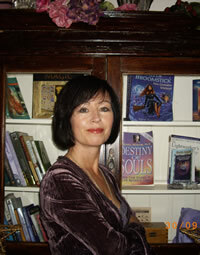 Footprint upon water – Novel based in Rural Ireland in the early to mid 20th century. I will be starting on a more in-depth study of the Tudors and also a book on the son of Grace O’Malley, the infamous Irish Piratess who famously sailed her ship up the Thames to have a meeting with Queen Elizabeth I. You do not need to read tonnes of spiritual books to become enlightened as that will only help you with one aspect of reading Tarot. You need to let your mind explore all other avenues but nothing that is trite and absolutely nothing that involves little mental input.